Nilsson's wife Emelie gave birth to their 2nd child, Loui, on November 8th. 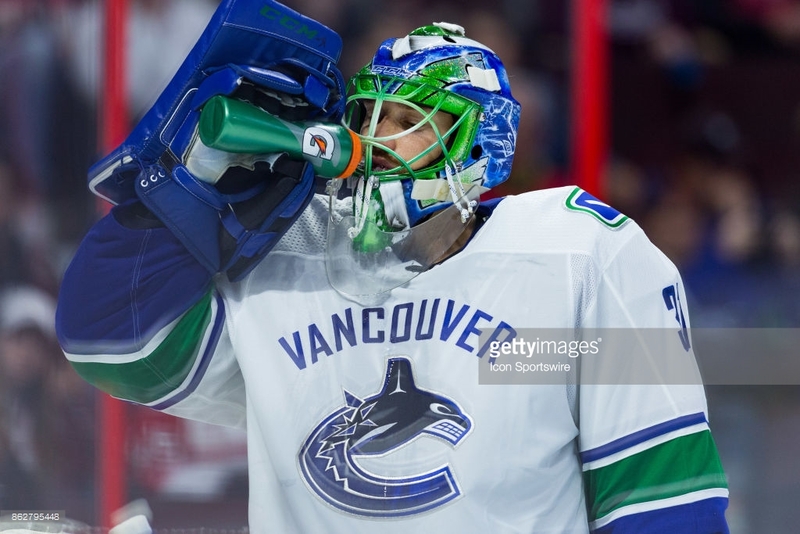 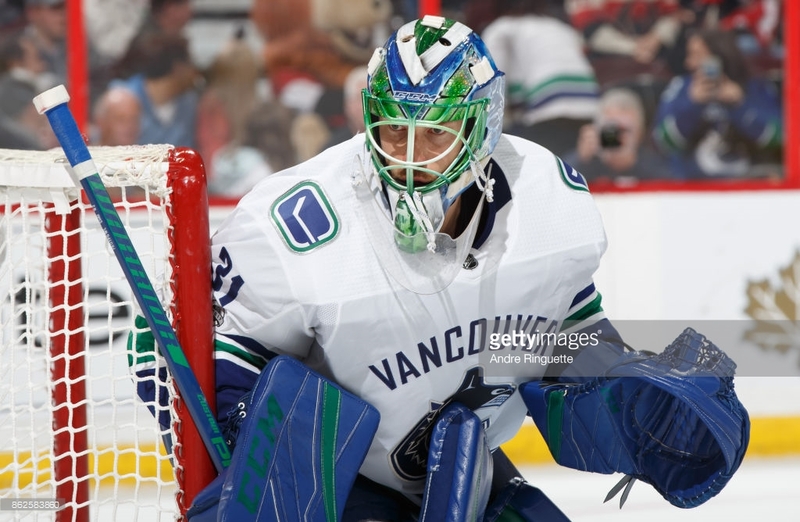 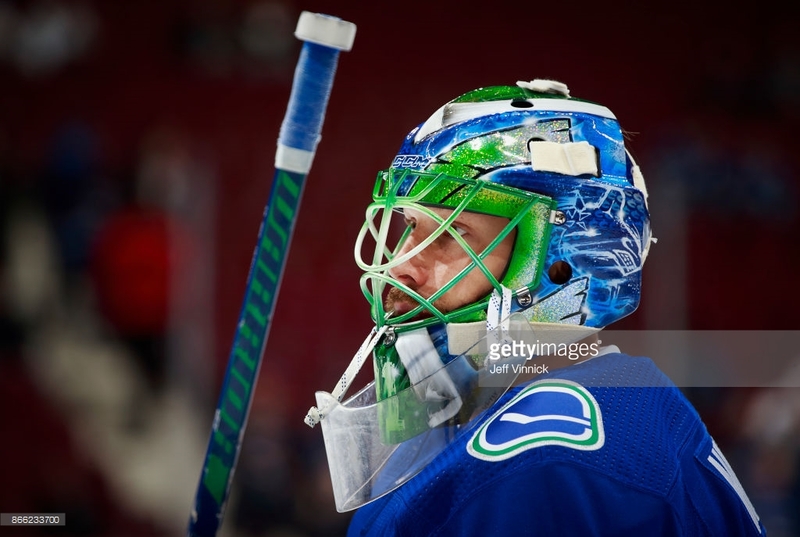 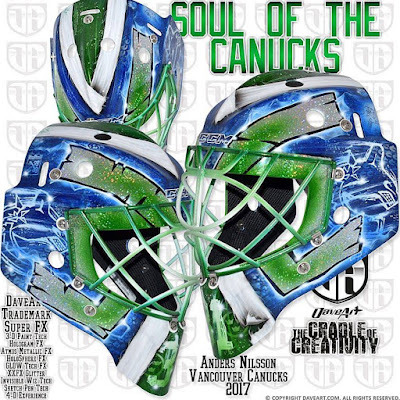 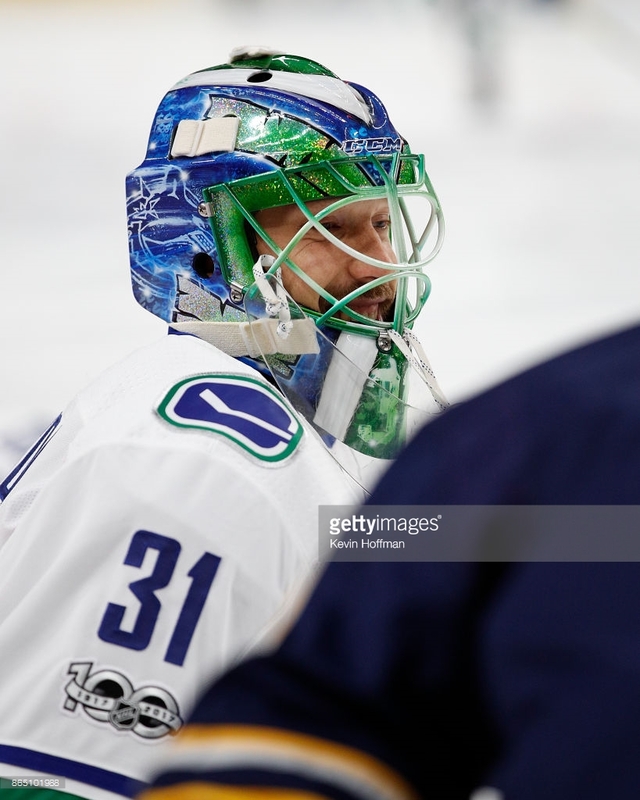 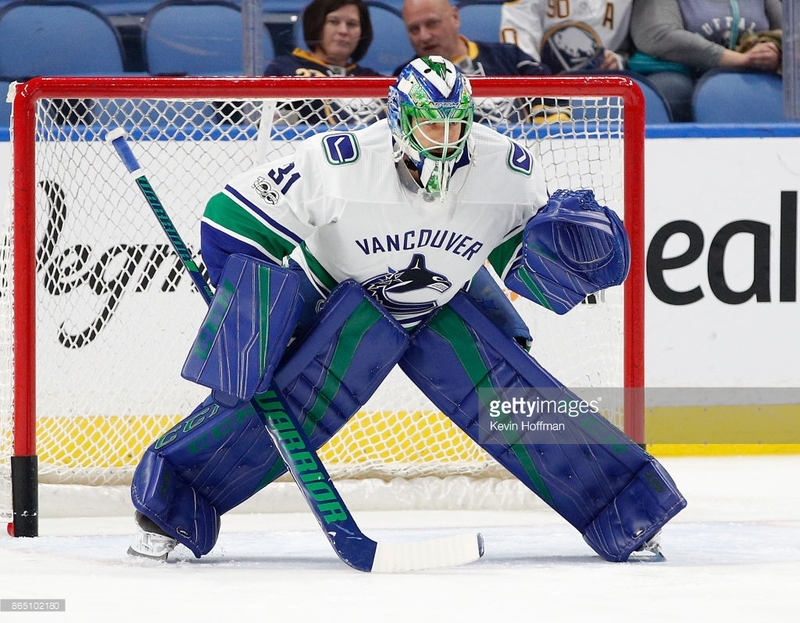 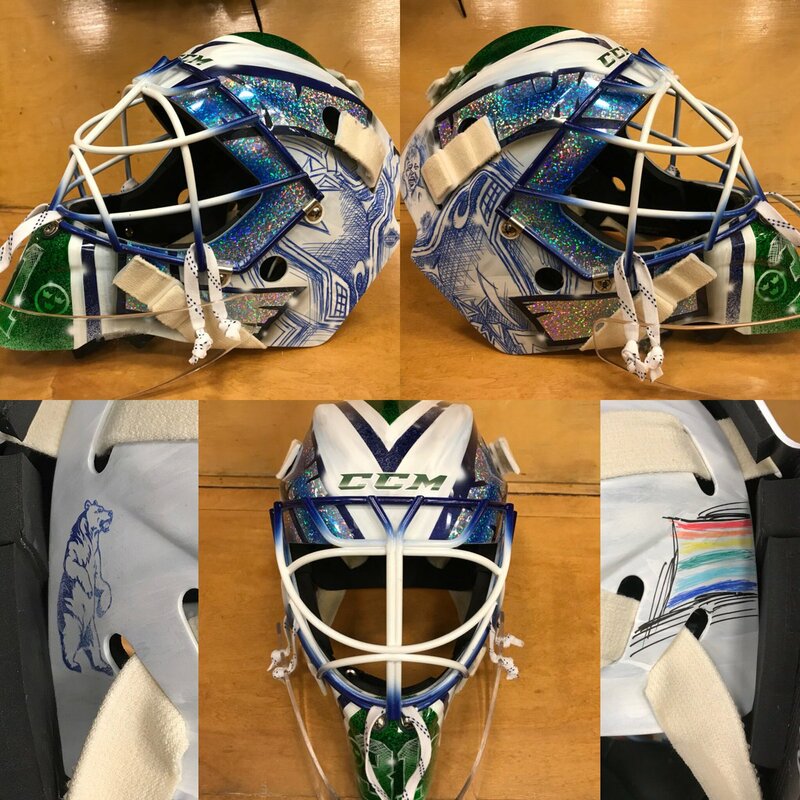 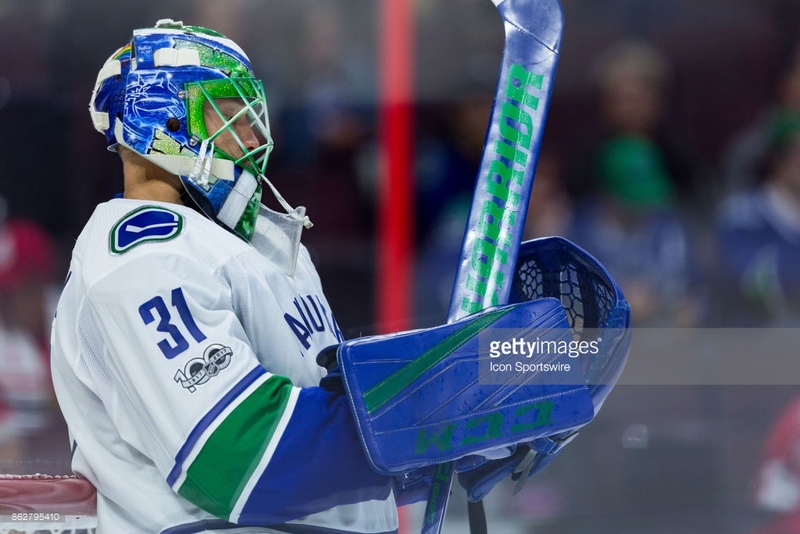 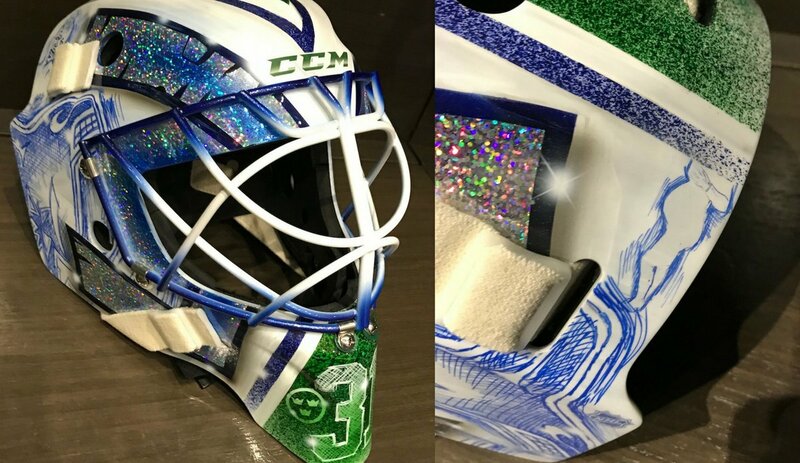 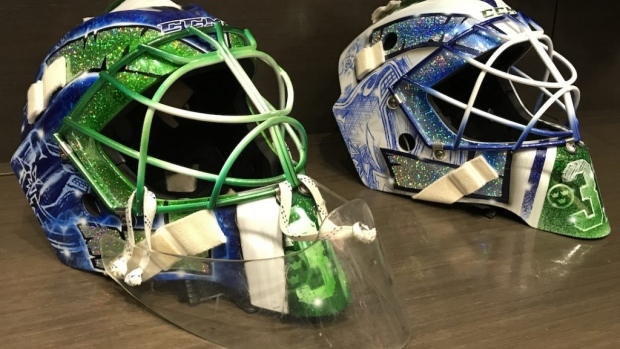 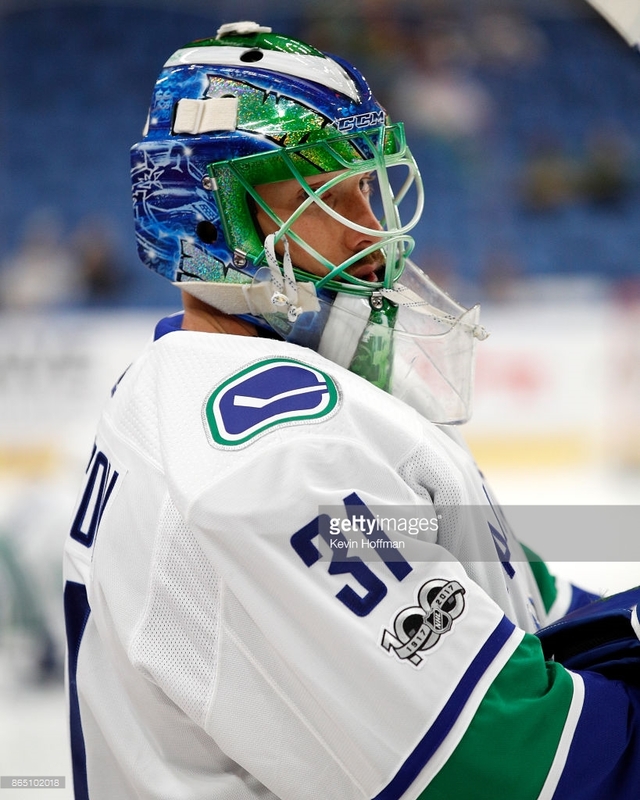 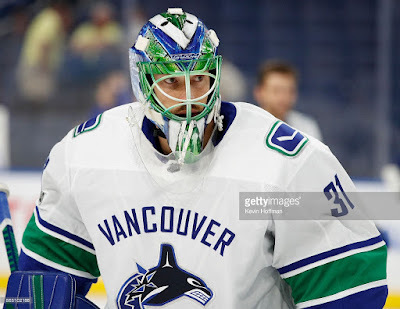 This new mask was finished before he was born, but Dave Gunnarsson drew a silhouette of a pregnant Emelie on the top left and right corners as a tribute to her and Loui. There is also a sketch of his older son, Mio. A bear (symbol from back home) and the Pride flag ("to support my gay friends") are on the back. 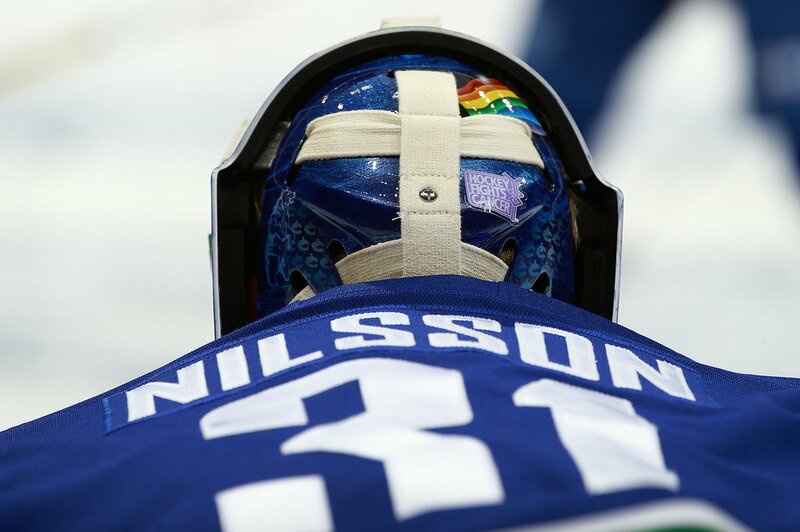 His quote from when he first included a Pride flag in Buffalo: I have a couple of friends who are gay, and life hasn't been easy for them growing up...It's time that hockey starts to pay some attention to that." The new road mask also features a blue and white painted cage, as well as Sweden's Tre Kronor, a standing flag, a Pride flag, and some glitter.